Sovereignty is a nebulous term. We are notionally a sovereign nation as a member of the EU. In practice, for as long as we elect to be a member, we acquiesce to a supreme government for Europe. A government which can issue instructions and exact penalties. I have a problem with that in that remote government can never be good government. The more power it acquires the less power the people hold. In that regard the EU is not a democracy. Whoever we elect to the EU parliament, the underlying agenda (the acquisition of more power) remains the same. The programme of government remains the same also. Initiatives started a decade ago are pushed forward regardless of the message sent to them at elections. Where the parliament proves to be convenient it is consulted, and when not it is sidelined. This is what makes Brexit a matter of principle. It is about power. Who has it and who gets to wield it and in what circumstances. In this we have a legion of tearful remainers asking "why are we doing this?". It's a good question since there are no immediate economic advantages and I would struggle to name a single economic benefit that wasn't entirely serendipitous. The words democracy and sovereignty are of little immediate comfort to those in fear of losing their jobs. First of all we need to be honest about this. This is a political revolution. 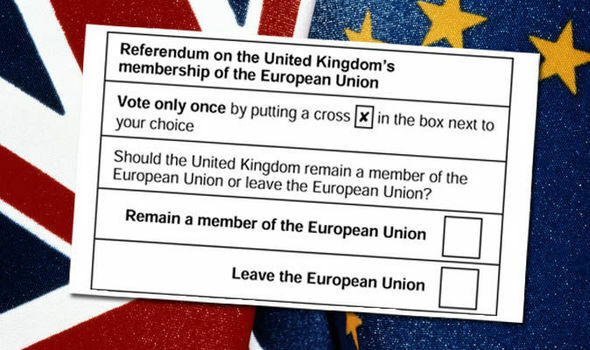 Many of the classic eurosceptic arguments are now redundant and were I to vote on the basis of the arguments deployed by Brexiteers I would vote to remain. The one thing we on the leave side all share though is an instinct that Britain is sufficiently different to require a different relationship with the EU and that leaving is in the best interests of democracy. In this you have to look closer to home. Since the end of the Thatcher era we have has a succession of near identical administrations, each governing in the same paradigm of using power to bribe their respective power bases. Retail politics. For sure there are differences in approach but the general trend is pay more, get less, all the while our public accounts spiral out of control and governments slips further out of reach. As more and more power over critical infrastructure ceded to the EU we find our politicians increasingly engaged in displacement activity and trivialities, making ever more incursions into the private lives of citizens - dictating their choices and limiting their freedoms. Brexit has already made an impact on that. Many have remarked that Brexit is a distraction that ties up parliament so that it cannot address other matters. Great! Now we are revisiting policy areas long abandoned like energy, trade, fishing and agriculture. Best of all we get to see in broad daylight just how little our government knows about governing. Their ignorance of the respective policy areas hitherto controlled by Brussels is profound. It has exposed the whole sorry lot of them as dilettantes and wastrels. In this we are forced to ask why our trade department knows so little about trade. Quite simply because they have handed it all over to Brussels technocrats, none of whom are elected or accountable in any meaningful way. What one would observe is that the level of incompetence we see presently is not something that has spawned overnight. This is a deep seated and cultivated incompetence which has largely been obscured by way of them never being tasked with anything of note. Brexit has unleashed a tsunami of political reality where we can all now see that we need major reforms to policy but also major structural political reform. Brexit has become the catalyst for a new era in politics and a new age for government. And it is very necessary. It would appear that the main complaint from remainers is their aversion to the disruption Brexit causes. What they miss is that democracy is meant to be disruptive. That is the whole point of it. It is the peaceful means by which people can achieve real change. And that really is the yardstick. For all that we voted in eurosceptics to the European Parliament, it did not in any way impact or slow the agenda of the technocrats. Thus the remainers chief objection is that democracy is bloody inconvenient. Well, folks, you are right there. Democracy is bloody inconvenient. Governments seeking consent and having to forge coalitions and seek a consensus is democracy in action. What is happening right now is probably the closest to democracy I have ever seen. Best of all, it shatters the status quo. We heard over the course of the general election that Labour had a "fully costed manifesto". I am not alone in noting that if you do not have a coherent Brexit plan and an impact assessment then you do not have any such thing. And what the absence of such tells us is that our political class is absolutely oblivious to the realities of what lies ahead. They are not in command of the issues and they are not in control. They are still in business as usual mode and seemingly something as seismic as the referendum has not shaken them out of their slumber. We can even say the same of the Tories who just the other day promised us that "austerity is over". What are they smoking? 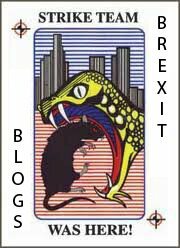 I rather expect Brexit will result in austerity on steroids the way they're going about it. It rather seems to me that the only way to wake up our political class is for them to suffer a short, sharp shock and be forced to confront the consequences of their own ineptitude. And though remainers might observe that more austerity is a miserable consequence of Brexit I am not nearly so moved in that hard choices will have to be made about the future configuration of the country and precisely who is entitled to what. That brings the decades old paradigm of retail politics to an end where people vote on issues rather than protecting their respective handouts and electoral bribes. Hopefully it will reignite voluntarism and social entrepreneurship, bringing about a much overdue cultural shift away from our entitlement culture. I am asked to supply evidence of any tangible benefits of Brexit. I'm afraid I cannot put any numbers on it. All I can say is that eventually we will recover from it, things will settle down into the new paradigm and we can take it from there. It's not about the perks and goodies of EU membership. This is a political and cultural question. What I would also venture is that with politics being as rotten as it is, it is only a matter of time before we face a major national incident that puts our prosperity in the balance. If we are to preserve our prosperity then it requires of us that we have this political reckoning, dragging all the divisions out into the open and set about mending them. We are told that Brexit divided the country. I would venture that it was already divided and that Brexit merely exposes it. Let us not forget that in 2014 we came very close to the departure of Scotland from the union - and the referendum results show a major dissatisfaction with the performance of London. Culturally, economically, politically we have been divided for a very long time and only now are we addressing these things. It wasn't going to happen any other way. Over the last two decades we have seen a major transformation of Britain. Not all for the good and the needs and concerns of ordinary people have been ignored. Government has been on autopilot and though we have alternated between Labour and the Tories the same underlying technocratic trends have continued unabated. As much as it lacks political legitimacy, our political parties also lack any real mandate. Again, Brexit is already resolving that in that it will most likely destroy the Tories and bring about new political movements. All the while there is a broader cultural war. We have a political elite, remain inclined who hold the public in low regard. Contempt even. They believe that we are racist and stupid and ill placed to decide our own fate. They believe we were taken in by the "Boris bus" and that our brains are of such mushy consistency that we will lap up anything we are told by the media. Curiously we are told that the better than expected polling for Labour marked a turning point in the media's influence - defying the will of the tabloids. Y'see the people are independent of mind when they vote for *their* preferred choice! More likely that people do not like being told who to vote for and being taken for granted. That as much as anything explains the Brexit vote. More than that though, it was a desire for change - and Brexit, warts and all, is bringing change we could never have secured by voting to remain or by voting in a general election. Now it is all to play for, and for once, everything from our relationship with the EU right down to the nature of our democracy is up for review and debate. From here we get to design our own destiny. I think that's wonderful. Sorry if it inconveniences you.